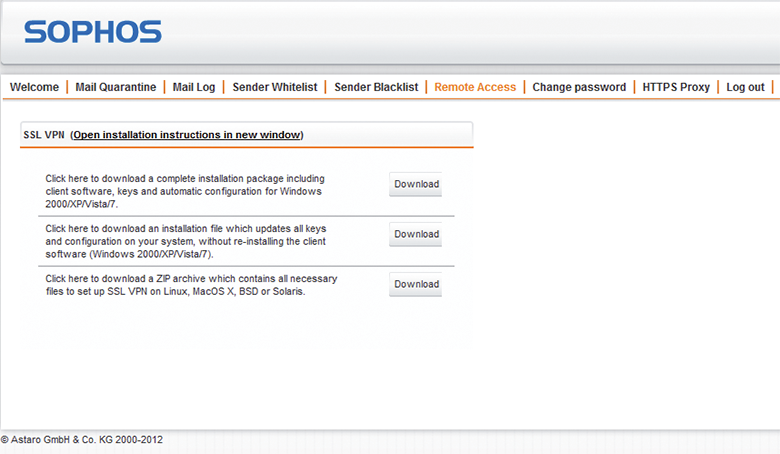 Automatic installation: The complete client installation is done within minutes-no configuration required by the user. Broad OS support: Major client operating systems are supported including Linux, OS X and Windows 7 and 8-both 32- and 64-bit versions. 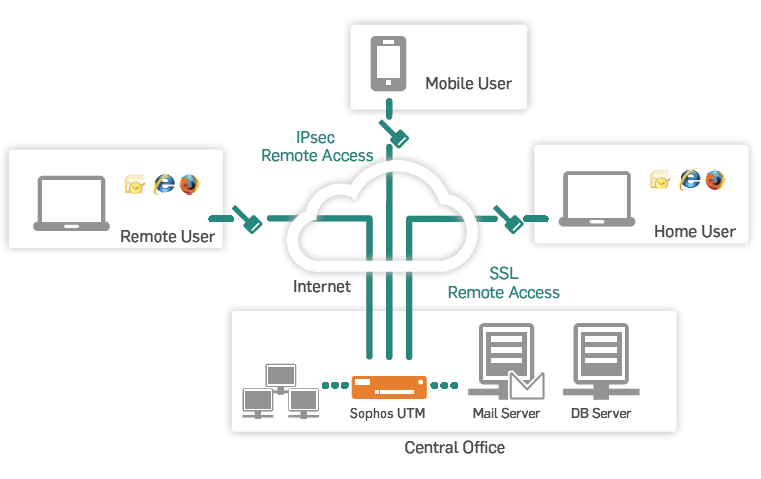 Sophos VPN clients provide easy-to-use and transparent remote access to all company applications. 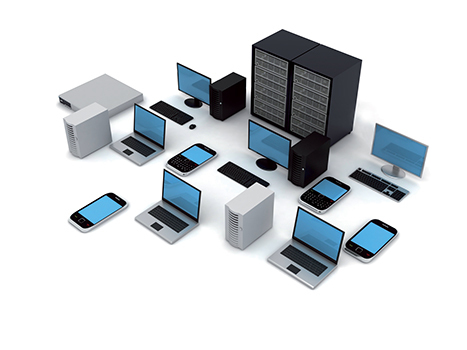 This is provided through secure SSL or IPsec VPNs from Windows, Linux, Mac OS and UNIX-based systems. 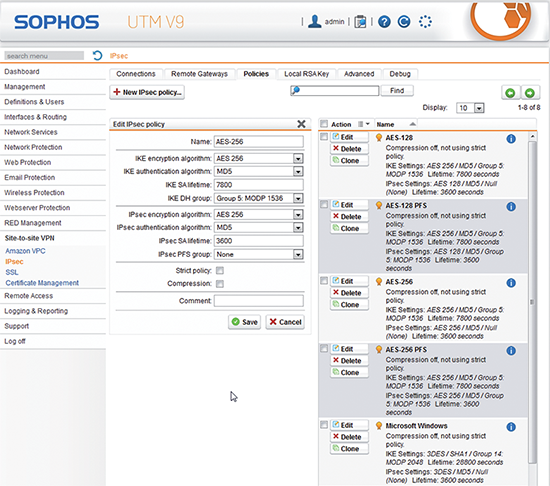 Sophos UTM gives you complete protection in a single appliance. You choose the level of security that's right for your business. Offers basic security functions to help protect your business network. Protects against sophisticated types of malware, worms and hacker exploits that can evade your basic firewall. Secures your corporate email from spam and viruses while protecting sensitive information from cybercriminals. Protects your employees from web threats while controlling how they spend time online. Protects your web servers and applications like Outlook Web Access (OWA) from modern hacker attacks. Protects endpoints at any location against malware and data loss with a centrally deployed security agent. Dramatically simplifies the operation of secure and reliable wireless networks. It's the easiest and most affordable way to secure your branch offices. 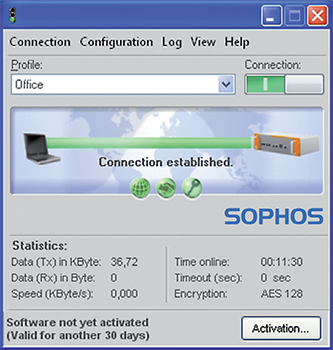 Download the Sophos VPN Clients Data Sheet (PDF).